Thanks to recent fundraising efforts by our outstanding team, we have raised $3000 towards the expansion of Strive Centre Footprints in North Vancouver. 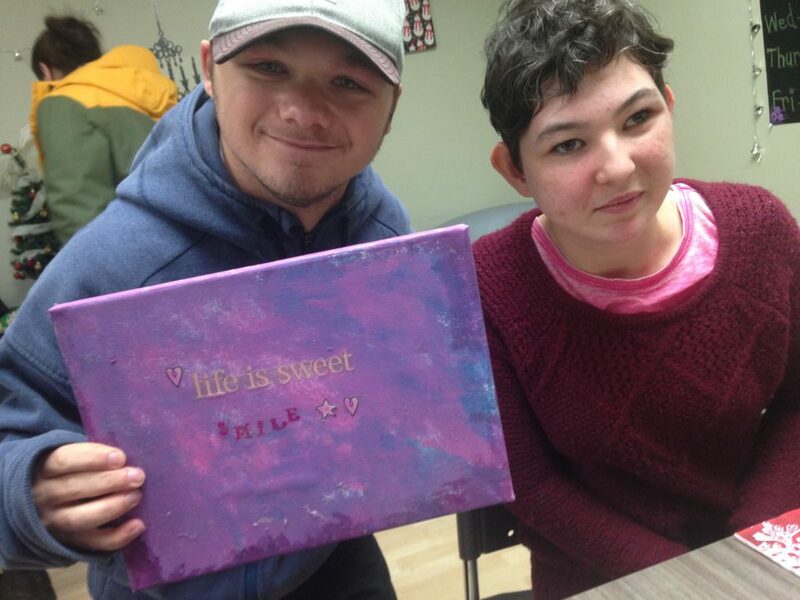 Our three Craft Fair Fundraisers in 2018 included Mother’s Day Tea, a sold out Paint Nite event, and our Christmas Craft Fair. Sincere thanks to Blueridge House and all our staff and clients at Footprints. An extra special thanks to Bonnie and Peter Berger, owners of the Frame Shop, for generously donating an incredible array of jewelry, decorations, knickknacks, Christmas-themed items, and Webkinz. Also, thank you to Garnet MacMullian for amazing donations, and of course, everyone who attended these events! 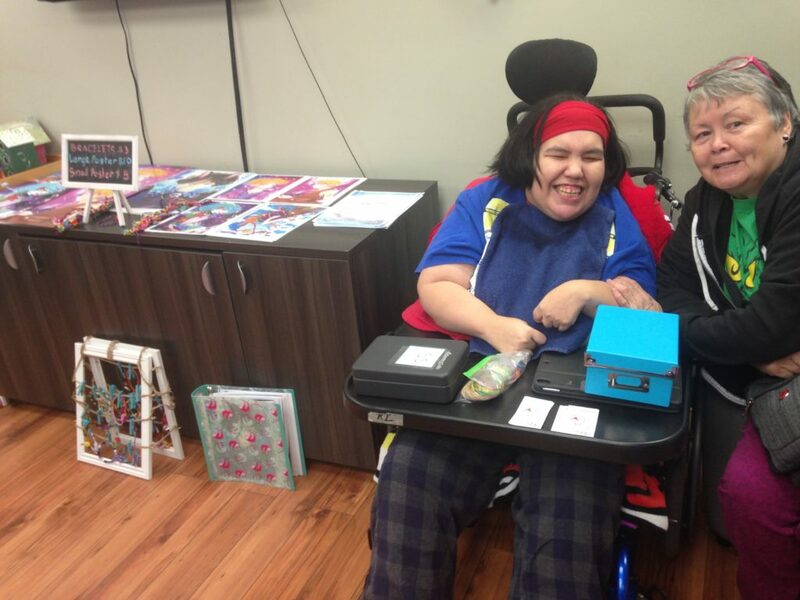 All the clients collaborated to create decorations, pieces of artwork, and Christmas cards. Crafts included paintings, candle holders, wooden spoon art, pine cone ornaments, and painted wooden signs. 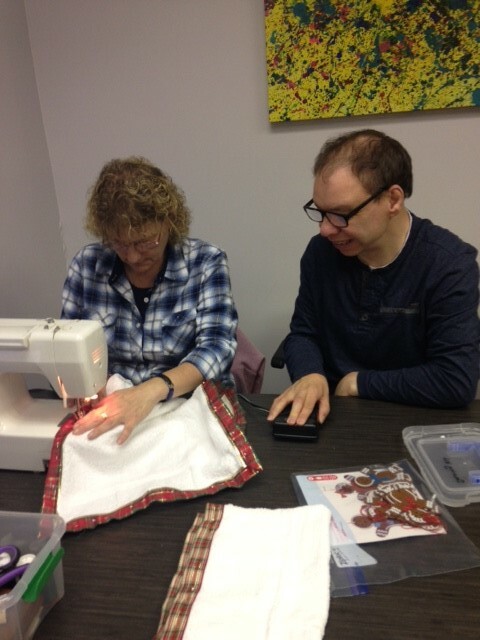 Another project included a sewing club, where many individuals worked with Shari, an employee, to sew. Some learned to pedal independently with Shari guiding the fabric. Their collaboration created 30 sets of beautiful tea towels, which were highly popular at the Christmas Craft Fair. We appreciate your support and kindness so much! Stay tuned for future fundraisers.